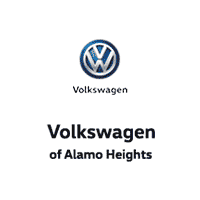 Volkswagen of Alamo Heights invites you to explore our Volkswagen lease deals and new car specials in San Antonio, TX. If you’re looking for only the best San Antonio deals on new Volkswagen cars and SUVs, then look no further. Our friendly Volkswagen leasing team is standing by to help you find the Volkswagen special offer you need to drive away in a new vehicle today. Can’t find the Volkswagen specials or lease deals you’re looking for? Contact us today for a personalized list of Volkswagen offers in San Antonio, TX. We are excited to offer this 2018 Volkswagen Tiguan Limited. Want more room? Want more style? This Volkswagen Tiguan Limited is the vehicle for you. You could keep looking, but why? You've found the perfect vehicle right here. You've found the one you've been looking for. Your dream car. This is the one. Just what you've been looking for. Prices do not include sales tax, vehicle registration, document preparation fee. We are excited to offer this 2019 Volkswagen Jetta. This Volkswagen includes: ROADSIDE ASSISTANCE KIT MONSTER MATS W/LOGO RUBBER MATS KIT (SET OF 4) *Note - For third party subscriptions or services, please contact the dealer for more information. * You could keep looking, but why? You've found the perfect vehicle right here. This is about the time when you're saying it is too good to be true, and let us be the one's to tell you, it is absolutely true. Just what you've been looking for. With quality in mind, this vehicle is the perfect addition to take home. Prices do not include sales tax, vehicle registration, document preparation fee. We are excited to offer this 2019 Volkswagen Tiguan. This Volkswagen includes: FIRST AID KIT PLATINUM GRAY METALLIC TITAN BLACK, CLOTH SEATING SURFACES Cloth Seats DRIVER ASSISTANCE PACKAGE Blind Spot Monitor *Note - For third party subscriptions or services, please contact the dealer for more information. * Want more room? Want more style? This Volkswagen Tiguan is the vehicle for you. You can finally stop searching... You've found the one you've been looking for. The look is unmistakably Volkswagen, the smooth contours and cutting-edge technology of this Volkswagen Tiguan S will definitely turn heads. Prices do not include sales tax, vehicle registration, document preparation fee. We are excited to offer this 2019 Volkswagen Tiguan. This Volkswagen includes: LUGGAGE NET HABANERO ORANGE METALLIC FIRST AID KIT STORM GRAY, PERFORATED V-TEX LEATHERETTE SEATING SURFACES Premium Synthetic Seats *Note - For third party subscriptions or services, please contact the dealer for more information. * Want more room? Want more style? This Volkswagen Tiguan is the vehicle for you. Just what you've been looking for. With quality in mind, this vehicle is the perfect addition to take home. This is about the time when you're saying it is too good to be true, and let us be the one's to tell you, it is absolutely true. Prices do not include sales tax, vehicle registration, document preparation fee. We are excited to offer this 2018 Volkswagen Passat. This Volkswagen includes: CORNSILK BEIGE W/BROWN, PERFORATED V-TEX LEATHERETTE SEATING SURFACES DEEP BLACK PEARL METALLIC ROADSIDE ASSISTANCE KIT LUGGAGE NET MONSTER MATS RUBBER MATS KIT (SET OF 4) *Note - For third party subscriptions or services, please contact the dealer for more information. * Why spend more money than you have to? This Volkswagen Passat will help you keep the extra money you'd normally spend on gas. You can finally stop searching... You've found the one you've been looking for. Just what you've been looking for. With quality in mind, this vehicle is the perfect addition to take home. Prices do not include sales tax, vehicle registration, document preparation fee. We are excited to offer this 2019 Volkswagen Tiguan. This Volkswagen includes: PANORAMIC SUNROOF PACKAGE Panoramic Roof Generic Sun/Moonroof Sun/Moonroof 3-ROW RUBBER MATS KIT Floor Mats LUGGAGE NET FIRST AID KIT *Note - For third party subscriptions or services, please contact the dealer for more information. * Want more room? Want more style? This Volkswagen Tiguan is the vehicle for you. You've found the one you've been looking for. Your dream car. The look is unmistakably Volkswagen, the smooth contours and cutting-edge technology of this Volkswagen Tiguan SE will definitely turn heads. Prices do not include sales tax, vehicle registration, document preparation fee. We are excited to offer this 2019 Volkswagen Atlas. This Volkswagen includes: 20 SILVER TRIPLE 5-SPOKE WHEELS Tires - Front Performance Aluminum Wheels Tires - Rear Performance ROADSIDE ASSISTANCE KIT RUBBER MATS KIT Floor Mats LUGGAGE NET REAR BUMPER APPLIQUE IN CHROME (PIO) (DISC) TRAILER HITCH EXTRAS *Note - For third party subscriptions or services, please contact the dealer for more information. * Want more room? Want more style? This Volkswagen Atlas is the vehicle for you. Pull up in the vehicle and the valet will want to parked on the front row. This Volkswagen Atlas is the vehicle others dream to own. Don't miss your chance to make it your new ride. The look is unmistakably Volkswagen, the smooth contours and cutting-edge technology of this Volkswagen Atlas 3.6L V6 SEL will definitely turn heads. Prices do not include sales tax, vehicle registration, document preparation fee. New vehicle pricing includes all offers and incentives. Tax, Title and Tags,”plus any dealer installed additions” are not included in vehicle prices shown and must be paid by the purchaser. While great effort is made to ensure the accuracy of the information on this site, errors do occur so please verify information with a customer service rep. This is easily done by calling us at (855) 389-7542 or by visiting us at the dealership. All advertised prices exclude government fees and taxes, any finance charges, any dealer document processing charge, any electronic filing charge, and any emission testing charge. We appreciate your interest in our inventory, and apologize we do not have model details displaying on the website at this time. Please fill the form out below and our team will quickly respond, or, please call us at (855) 389-7542 for more information. Volkswagen of Alamo Heights	29.5151787, -98.4457564.